Everybody needs more energy these days. Whether you’ve got a high-stress lifestyle or you just value being in a high-energy state, people are always looking for ways to boost themselves up to have a deeper experience of life. While there are countless ways of going about this, I am going to share 5 ways to use lemon to improve energy levels. Lemons are blood sugar friendly and extremely cost effective. If you are someone who struggles with energy ups and downs, this may be an important strategy to implement into your life. The citric acid found in citrus fruits like lemons and limes can actually blunt the glycemic response of a meal, possibly by influencing the rate of gastric emptying (1). Balancing your blood sugar is extremely important if you wish to obtain consistent energy levels. Rapidly fluctuating blood sugar can become highly inflammatory, contribute to hormone imbalances, and make your behaviors very food oriented. When your behaviors are food oriented, then you are primarily utilizing the primal structures of your brain. This can lead to being in a chronically stressed state that constantly drains your energy levels. The combination of Vitamin C and citrus bioflavonoids in lemons and limes actually improves something called capillary permeability (2). Capillaries are the tiny blood vessels in different tissues around the body that allow fresh oxygen to diffuse out of the blood and into the cells. Improving oxygenation of your cells is extremely powerful for improving energy levels. Places of your body with tons of capillaries like your hands, feet, and brain can benefit from this improved blood flow. This combination of nutrients may also protect from cardiovascular diseases by improving cholesterol profiles and decreasing accumulation of plaque in the arteries (3). If you follow a standard American diet, are under high amounts of stress, or do not consume very many fruits & vegetables, you are likely to be deficient in potassium. Potassium is a vital mineral that helps to optimize the nervous system, build strong bones, and support cardiovascular health (4). Potassium also helps to ensure the health of the kidneys by balancing itself with calcium to maintain a healthy mineral balance. This may be helpful for combatting kidney stones. Symptoms of a potassium deficiency include adrenal fatigue, hypertension, muscle cramping, and kidney stones. As many people experience these symptoms, I always look for ways to increase potassium intake. Using lemon juice can be helpful or sprinkling lemon juice over other potassium-rich foods for better absorption. My favorite potassium-rich foods include avocados, swiss chard, broccoli, and bok choy. Consuming lemon juice can aid digestion in a number of ways. Drinking lemon water on a regular basis actually helps to flush out the liver and gallbladder, improving your bile production. Bile is what your body uses to effectively digest fats, making lemon juice an excellent companion on a ketogenic diet. Additionally, lemon juice contains a naturally occurring acid called citric acid which may be able to assist digestion by directly pre-metabolising foods before you consume them while also supporting your own production of stomach acid. This is similar to the effect of consuming apple cider vinegar before a meal. Let’s be honest, lemons are sour and aren’t sought out for consumption on their own. There are some great and tasty ways to use lemons or lemon juice in everyday preparations, however. These are 5 ways that I personally use lemons every day to improve my own energy levels. Every morning, upon waking, it is a powerful healing strategy to super hydrate. This means drinking plenty of water with healthy salts. Adding lemon juice takes this strategy a step further. Upon waking, you should be consuming 16-32 ounces of water immediately. Next, I typically recommend trying to consume almost half a gallon of water before even consuming your first meal for the day. Be sure to separate drinking and eating by at least 30 minutes and up to an hour to ensure effective digestion. Performing this strategy with the addition of lemon juice helps to provide vitmains and minerals, flush out the liver, kidneys, and bladder, get the bowels moving, and balance the body’s pH levels. Adding a shot of lemon juice or apple cider vinegar to a small amount of water and drinking 10-15 minutes before a meal can be a great way to improve digestion. Doing this on a regular basis helps to improve stomach acid production. At the same time, this will improve bile release from the gallbladder which will improve fat digestion. 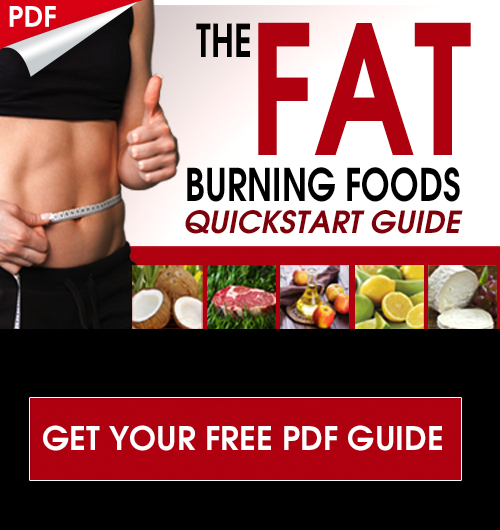 If you have recently converted to a high-fat, low-carb diet then I would definitely recommend this strategy. Sprinkling lemon juice over your food before consuming is a great strategy to boost digestion and relieve stress on the digestive tract. The citric acid in lemons actually helps to pre-metabolize your meal before you even put it in your body. This means meats and veggies enter your body already being partially digested and your body doesn’t have to spend as much energy breaking them down itself. The more you assist the body in functions like this, the more energy you free up for anything else you want to do. These are a delicious, ketogenic friendly cookie recipe using only a few ingredients and are super simple to make. These are basically like coconut shortbread cookies with a delicious lemon cream glaze on the top. Definitely one of the most nutritious cookies you will ever eat! To fill your entrée needs at dinner, this lime seared salmon is a powerful triple threat of health compounds. First, you’ve got wild-caught, Alaskan salmon, which is one of the absolute best meats you can possibly eat. It is loaded with healthy Omega-3 fats and one fo nature’s most powerful antioxidants, astaxanthin. On top of that, you’ve got tons of coconut-derived healthy fats and of course, lime juice to provide the benefits mentioned above and help you extract EVEN MORE nutrition from an already super nutritious meal. If you are looking for a hydrating, anti-inflammatory lemonade recipe with a kick, give this one a try. This recipe features some of the world’s most anti-inflammatory superfoods like ginger, turmeric, and cinnamon. Alternatively, you could put these ingredients through a juicer (minus the cinnamon) for a fresh and extra-potent blend. Either way, the anti-inflammatory and hydrating benefits of this lemonade are sure to be a powerful energy booster. Finally, a great and lesser thought of way to incorporate lemons into your life is by using an essential oil. Lemon essential oil can be diffused, applied topically, added to water, and incorporated into your favorite recipes. It is important to source from a company that provides high-quality essential oils that are safe for consumption, most simply do not fit the strict criteria for purity that allow for this. Some of the top brands I have personally come across are DoTerra and Numa. Lemons and limes can be a great inexpensive energy booster by improving circulation, aiding digestion, and providing valuable nutrients. By incorporating more of this underestimated superfruit into your diet, you are doing your body a tremendous favor and you will start to feel the benefits. Did you know that the food grown by your grandparents was TWICE as nutritious as today’s crops? A landmark study proves has shown this. In the study, researcher Donald Davis tracked the nutrient content of 43 different fruits and vegetables from 1950 to 1999. What he found should shock each of you reading this: Food sold on modern supermarket shelves is nutritionally bankrupt. You would need to eat at least 10 servings of vegetables today to equal just one serving from 50 years ago! And this lack of nutritious foods is causing a health crisis in the U.S. Modern diseases that never affected our ancestors — chronic conditions like diabetes, depression and dementia — are directly linked to low nutrient levels. Find out what you can do about it: WATCH TRAILER HERE! how many lemons should you take and in what form? There is no specific amount Joseph! Typically just using the juice from fresh lemons works well. Lemons are often hard to find where I live. But limes are plentiful. Are limes an equivalent substitute for lemons? Some interesting facts in this article that I didn’t know. Thanks Dr Jockers! Limes are great too Donna! 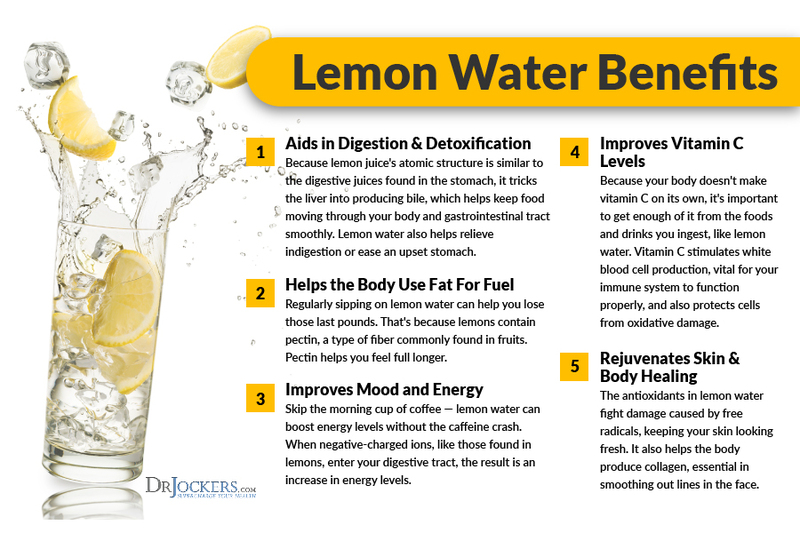 Thanks,l love this healthy tips about lemon,l will surely use them to boost my energy level. That is great to hear Esther! First, I have to say my husband and I love all your info! 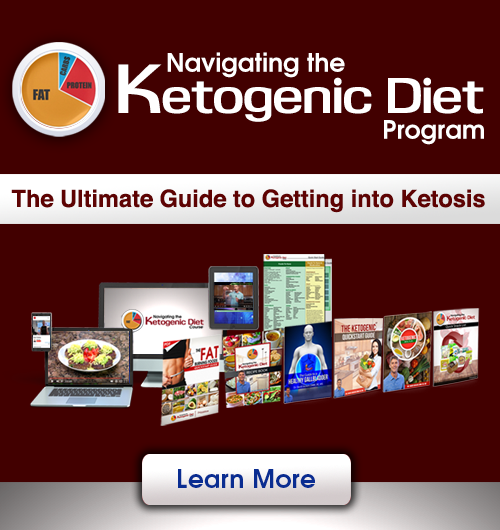 We have been keto since early 2018, lost our visceral fat, almost no joint pains and many other benefits. I have also managed to, dare I say, eliminate my GERD and now successfully off my PPI. Before keto i started drinking fresh lemon drinks every day and ended up causing grief to my esophagus, hence the PPI. I realize lemon is a great way to promote alkalinity in the body, but when travelling down the esophagus, it is acidic. I am nervous to try again. Any suggestions or should I just stay away from it? Sorry to hear that Gail!! You would need to either dilute it or you can get much of the benefits by just adding a little to your meat and veggies as it will help to predigest the food and take stress off of your digestive system. Blessings! Thank god something cheap. I always use 🍋 juice in my salads…AC vinegar with mother before dinner. That is great Robyn! I enjoy doing the same thing. I wouldnt say i enjoy it..lol! I use 2 frozen ice cubes 1 tbs c vinegar and 1 l tbs honey ever morning.Love it.